I ran across this book earlier. In some discussion on Quora, I see that the book has a wide audience within the American community of historians. 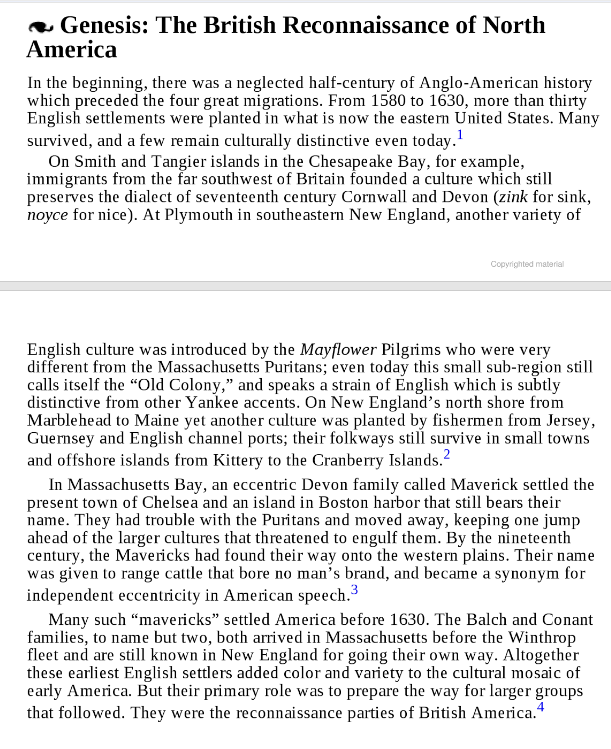 It isn't so much referenced in the U.K.
Google has a copy in preview mode: Albion's Seed, David Hackett Fischer. We will be referencing the book from time to time. Fischer discusses four pathways that map from regions in England to areas of the U.S. Of course, These are generally described. 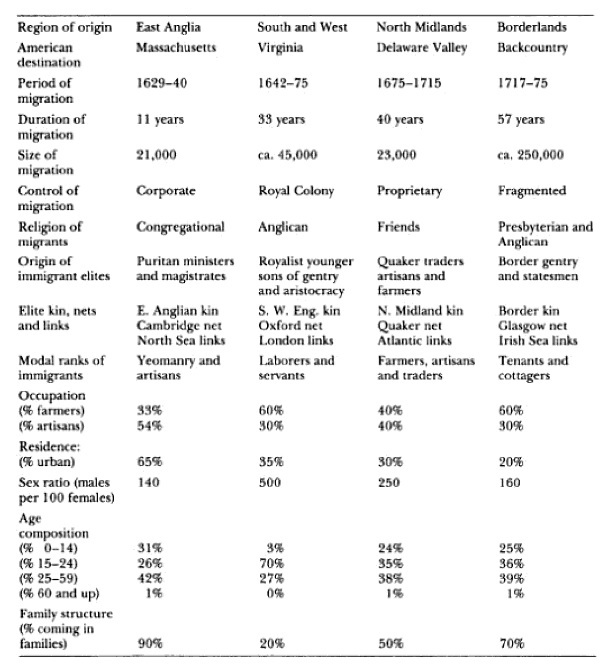 As the 400th comes up for the many cities of New England, we can also look at the 200th of the western expansion. That will be one focus for this blog and the related sites. Below, there are a couple of snaps from the book. In general, genealogy and history are separate, but they do intertwine. We really ought not have one without the other. So, I expect to see historical accounts be a little more sensitive about what happened to families. For instance, one example would be a lone stone out on the western prairie. It is of a Mayflower descendant. 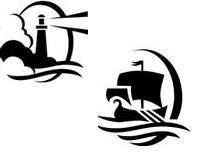 Of course, the pioneer has a slew of other New England ancestors. However, one would think the GSM would want to know what happened to the offspring of their people. In fact, mixing history and genealogy can be problematic, as I have recently found. But, that is another story. Now, those dealing with genealogy ought to be aware of historical trends, to boot. You see, your bit of data is considered anecdotal when compared to the larger picture. Yet, it is more than that. People are not abstractions. These two types of views will be having some interesting interplays. The NEHGS might be aware of a good balance. We shall see. So, in Albion's Seed, Thomas is only mentioned peripherally along with Joseph, his son. That may be due to Joseph's relationship with the Downing's. Sir Christopher is mentioned, too, similarly. And, we are going to be diving deeply into that story as mentioned earlier. So, this page goes over the time prior to the start of the major pathway events. Balch and Conant are mentioned. So, too, the Maverick family comes up. We will be filling in more there. As it says, the early parties were doing reconnaissance. Nice. In case you might wonder with regard to what, this table explains the four pathways. 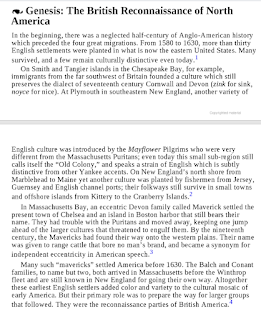 The earliest deals with New England. Then, we have Virginia. Finally, the Quakers are given some attention along with the back country folk. Historical view from way up. Having just dealt with families from the north and the south that merged in Boone's areas (which is a wide swatch), I expect to be able to use this book for some analysis and discussion. And, there are other example works like this. 12/18/2016 -- Article about the subject published in The Gardner Annals, Vol. III, No. 1. 11/20/2017 -- We will be looking more closely at the south.